Freezing nuts and seeds keeps them fresher longer and prevents them from going rancid. This is great for bakers, chefs and anyone who buys in bulk. Plus buying in bilk is much cheaper than buying one cup portions at a time from the grocery store. Save even more by stocking up when nuts are on sale during the winter holiday baking season around November. I try to buy all the nuts I'll use for a year around this time. If we don't bake much they'll easily last two years in the freezer. 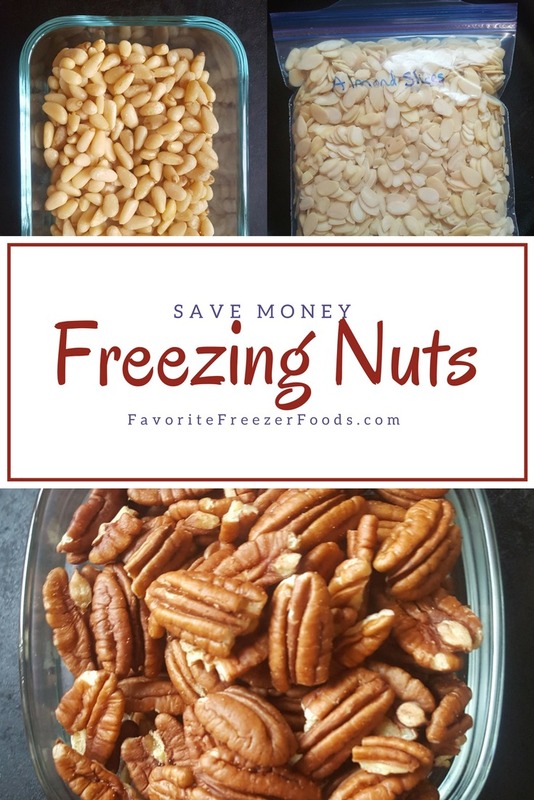 Freeze nuts to save money. Buy them on sale or in bulk or both and increase their shelf life by storing your nuts in the freezer. Walnuts, almonds, pecans, cashews, hazelnuts, pine nuts, macadamia nuts, Brazil nuts, chestnuts, pistachios, sunflower seeds, sesame seeds, poppy seeds, buckwheat, wheat berries are just a short list of freezable nuts and seeds. I like to freeze squash and pumpkin seeds during the fall season as well because we get more from the garden than we can eat at harvest time. Freeze before or after roasting. Freezing nuts is easy! 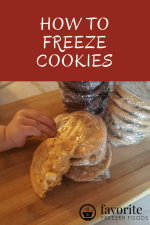 Put them in a plastic freezer bag, label it and add it to your freezer inventory sheet. Use a glass freezer container if you want to keep your nuts looking pretty and make sure they won't get damaged or break during storage. I don’t bother to flash freeze nuts because I’ve never had a problem with them freezing into a large lump and it’s highly unlikely unless they were to get wet for some reason. For long storage consider double bagging the nuts so they don’t share their smells, or worse, pick up other smells in the freezer. 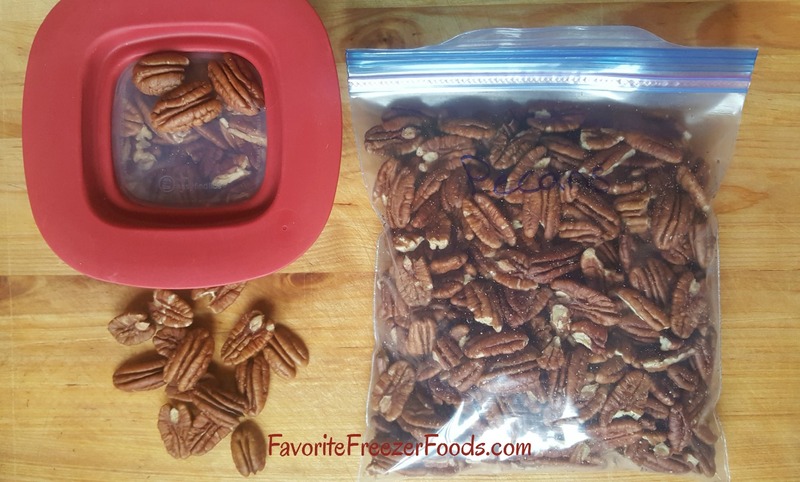 Freeze pecans in glass so they don't break or in a freezer bag for the most flexibility. You can freeze nuts either way. Unshelled nuts are faster for cooking, baking, garnishing dishes or eating as a snack. Leaving them shelled doesn’t increase shelf life in the freezer. Make sure the shell is cracked so the nutmeat has room to expand. Freeze them however you’re most likely to use them. Either one will freeze fine. I prefer to buy unsalted nuts because they give more flexibility for cooking and baking. Plus salt decreased the shelf life of fats in the freezer. You don’t have to thaw nuts but if you’re eating them as is, such as on top of ice cream or in a trail mix you might want to let them get to room temperature. For cooking or baking use nuts from frozen. A quick way to reheat nuts is to roast them slightly in a pan or in the oven. How Long Can You Freeze Nuts? Most sources say six months, but many people keep nuts at room temperature that long. I don’t recommend buying or freezing more of anything, including nuts, than you can use in one year. Why waste the space? If you want to buy a huge portion see if a friend or family member wants to split it with you. That said, I do find myself freezing nuts and seeds up to two years for my Christmas baking. Will previously frozen raw nuts and seeds still sprout later? Yes, they will and that means they are still considered raw for people eating only a raw diet. 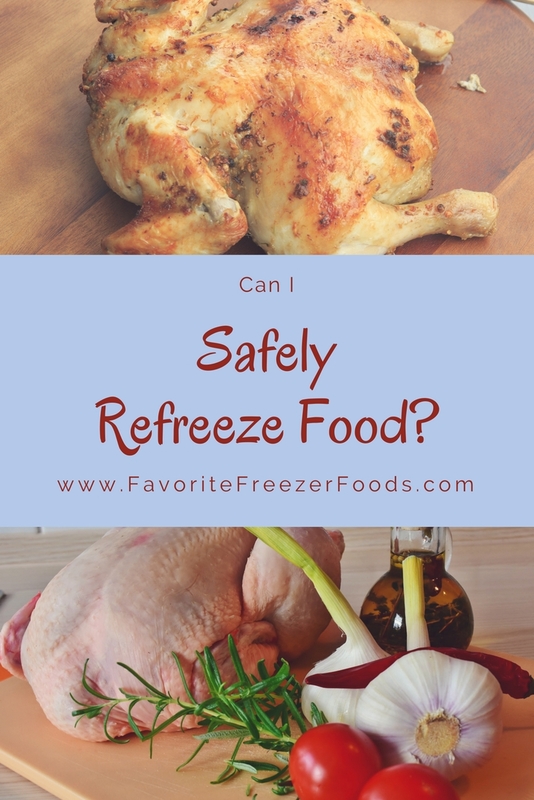 How to freeze chicken, raw or cooked, to save time and money. 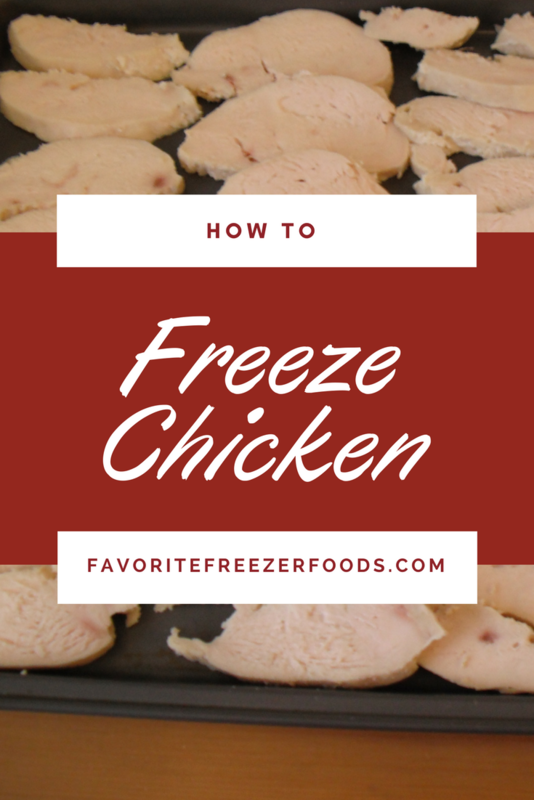 Frozen cooked chicken is a huge time saver for a busy family. Homemade Biscuits! You can make these ahead and bake from frozen. 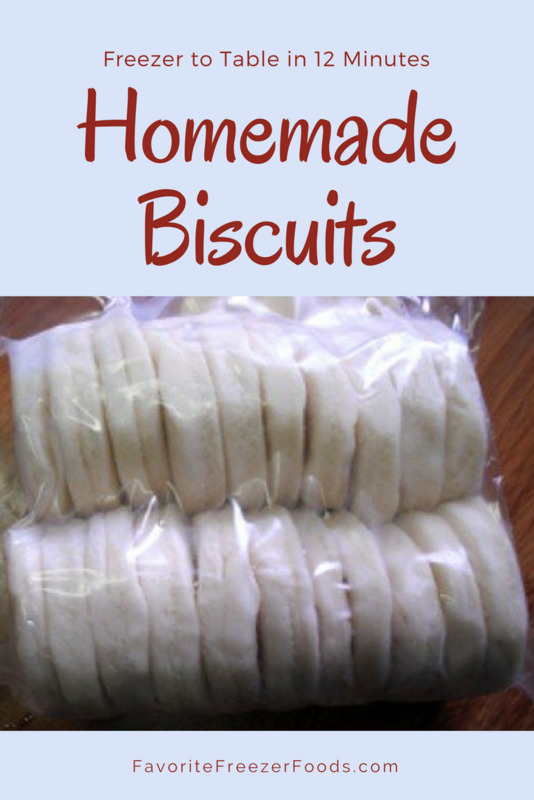 Fresh biscuits make a great side dish and are ready in minutes! How to safely refreeze food. 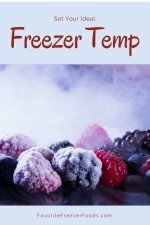 Learn what you can and can not refreeze after thawing or cooking.